The rising rapper's lavish 'Bartier Cardi' video drops and it's a sizzling affair. 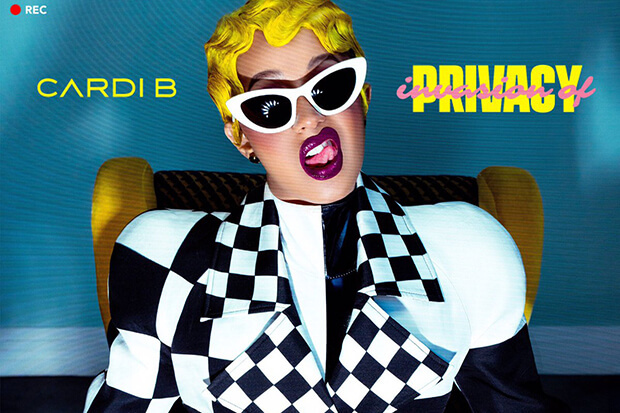 EDIT: Cardi’s Invasion of Privacy was released today (April 6) and includes a collection of surprise features from the likes of Kehlani and SZA. Stream the album below. Cardi B is in promo overdrive. The reality star/rapper dropped a moody new single called “Be careful” on Friday (March 30), finally got around to releasing the video for “Bartier Cardi” yesterday and then blessed us with a new buzz track, the Migos-assisted “Drip,” earlier this morning. However, she wasn’t quite done. The 25-year-old just announced the tracklist for her much-anticipated debut LP, Invasion Of Privacy, via Instagram. The biggest surprise? The lack of features. In fact, the only guests on Invasion Of Privacy, which drops April 6, are Migos and 21 Savage. However, Cardi hints that the tracklist isn’t final. “TRACKLIST… more surprises when the album drop,” she captioned the post. “Any questions you have don’t Ask me! You will find out on FRIDAY.” While it will be interesting to see what she has up her sleeve, this version is actually pretty satisfying. All of the hits made the cut and the new song titles are typically quirky (“Bickenhead,” “Money Bag” and “She Bad”). Check it out below. Are you excited for Cardi’s album? Let us know below, or by hitting us up on Facebook and Twitter!